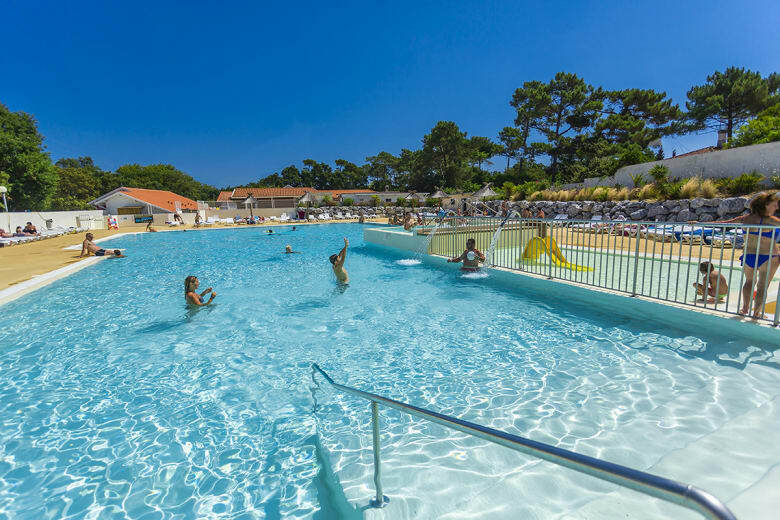 Nestling at the heart of the forest in the Landes, on grounds of 8 hectares 800 metres of the Capbreton beach, the 4-star La Pointe campsite is the most popular open-air hotel with holidaymakers at this famous Landes seaside resort. 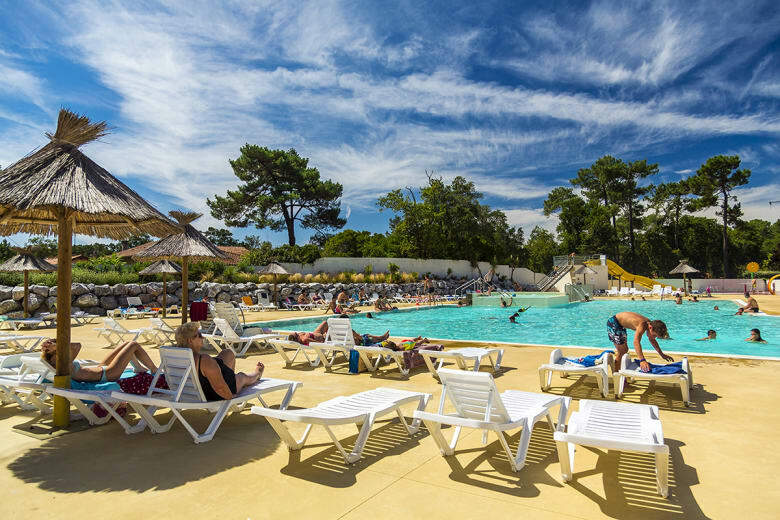 With its multitude of services and an aquatic park and well-being space this campsite, which is a member of the Campings Grand Sud group, genuinely offers leading holiday conditions on the Côte d’Argent. Amidst maritime pines and other cork oaks, the La Pointe campsite stretches over a surface area of 8 hectares. A pedestrian path enables you to cross the forest and the dunes safely to get to the beach. Popular with surfers, this extends as far as the eye can see in the north towards Hossegor and to the south towards Bayonne. This tourist town and city are respectively 7 and 18 kilometres from the campsite. Even closer still, the Nature Reserve of Marais d’Orx, in Labenne, is there to be discovered during walks or cycle rides during your stay in La Pointe. Moreover, there are numerous cycle tracks within the vicinity of the campsite. A little further inland, the town of Dax, with its Gallo-Roman ruins, its local festival and its therapeutic springs, can be visited in an afternoon. In total, 420 pitches and 213 holiday rentals await holidaymakers. Spacious and shaded, pitches are intended to accommodate tents, caravans and camper vans. The holiday rentals are made up of 7 ranges of different accommodation, including the out-of-the-ordinary and luxury Safari Lodge on piles. As regards services, holidaymakers can do their shopping on the campsite, owing to the presence of a mini-market. As needed, the closest supermarket is 2 kilometres away from the La Pointe campsite, at the gateway to Capbreton. The campsite also has an on-site launderette, a snack bar - bar - restaurant - takeaway and a bicycle hire service. It is worth noting that a free shuttle bus linking the campsite and Capbreton operates during the months of July and August, and during the hours of 10 a.m. to 7.30 p.m.
A leading facility on this 4-star Capbreton campsite, the aquatic area meets holidaymakers’ expectations. With a surface area of 700 m², it is made up of a swimming pool, a Jacuzzi, a water slide with a landing pool, a paddling pool and a splash pad for the very young. In 2017, an entirely new well being area has appeared on the campsite. Entirely devoted to unwinding and relaxation, it is in the vicinity of the aquatic park and it is equipped with a steam room, a sauna, a Jacuzzi as well as treatment and massage cubicles. As with the well being area, the children’s club opens during the high season, in July and August. It accommodates children aged 4 to 12 and an entire team of activity leaders is responsible for entertaining them, the leaders’ main task being to ensure that they have an unforgettable holiday! There are games, workshops, sports competitions, and other activities; nothing is left out so as to achieve this aim! At the end of the stay, all children return home with new friends and a smile on their faces. 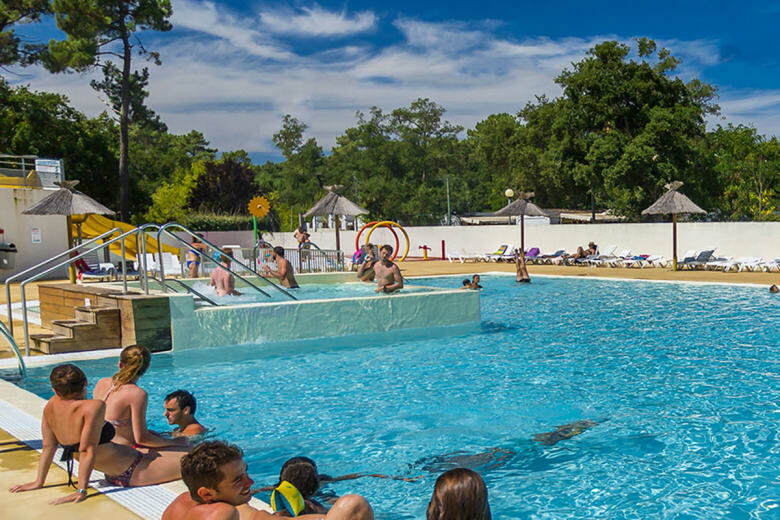 During their stay, children also have the chance to amuse themselves on the play facilities, spread over the campsite: the mini-golf course, the rope pyramid, playgrounds, ping-pong tables and others. 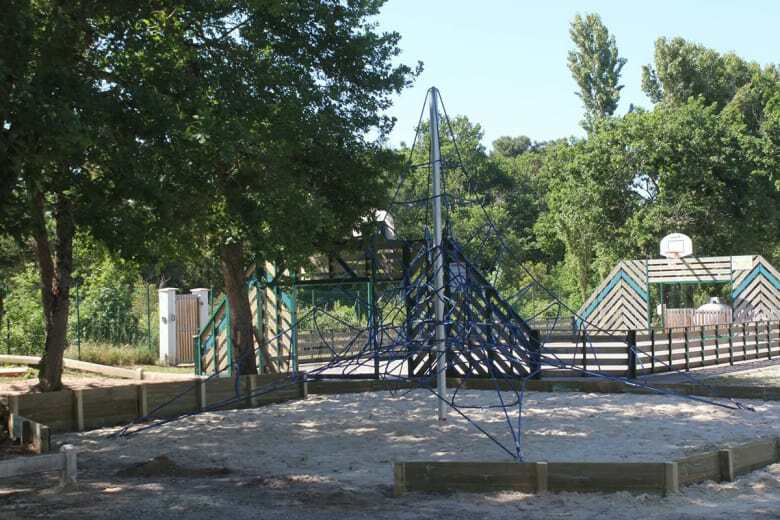 Lovers of exercise and sports are in no way forgotten, as at the La Pointe campsite there is a gym, a multi-sports ground as well as an area for playing boules.